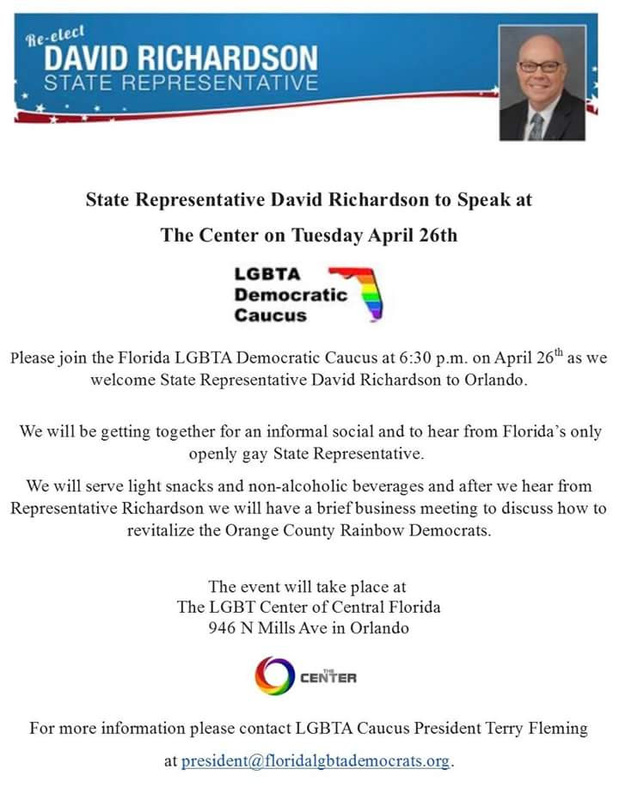 Please join the Florida LGBTA Democratic Caucus at 6:30pm on Tuesday, April 16th, as we welcome State Representative David Richardson to Orlando. For more information, view the event flyer. To RSVP, visit this link.